A very chic and trendy menu board. The dark blue background with white typeface lends a unique elegance along with the multi-color graphics. 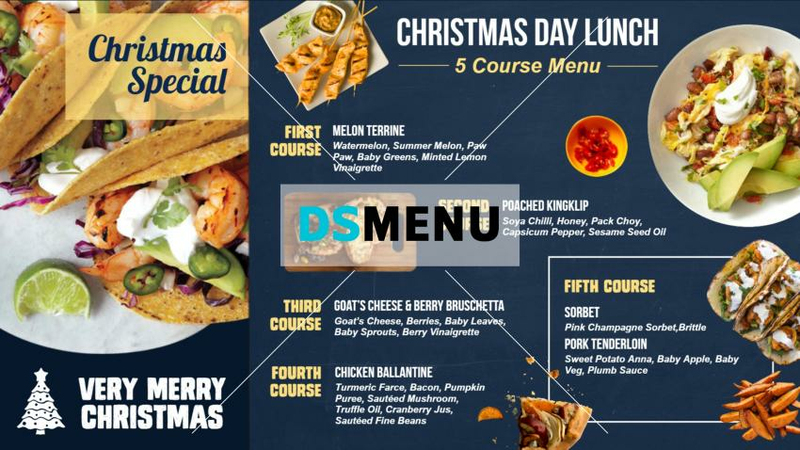 The five-course menu is well highlighted with specific markings. On a digital signage menu board the impact will be splendid and many more customers will drop in. You should make full use of the festive mood.